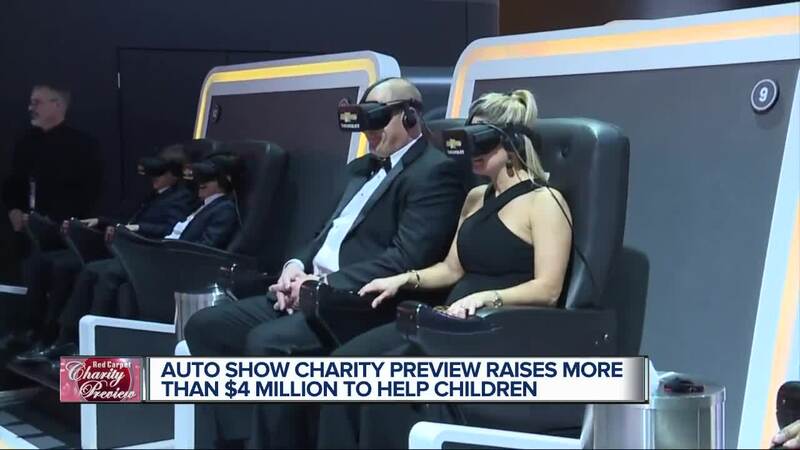 DETROIT (WXYZ) — More than $4 million has been raised for children's charities at this year's North American International Auto Show, which marked its final January event on Friday. A total of 10,072 people attended the black-tie gala and raised approximately $4,028,800, while marking the end of an era as the auto show will move to June in 2020. The Charity Preview is in its 43rd year, and has raised over $121 million for southeastern Michigan children's charities since the Detroit Auto Dealers Association started the gala. The Charity Preview will take place Friday, June 12, 2020. According to a release, with the re-imagined show, exhibits will deliver experiential opportunities beyond the show's four walls while expanding into a "revitalized and re-energized Detroit." The annual Charity Preview is the largest single-night fundraiser in the world.